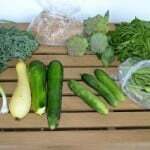 Summer is in full bloom and that means we are getting lots of different veggies in our CSA. 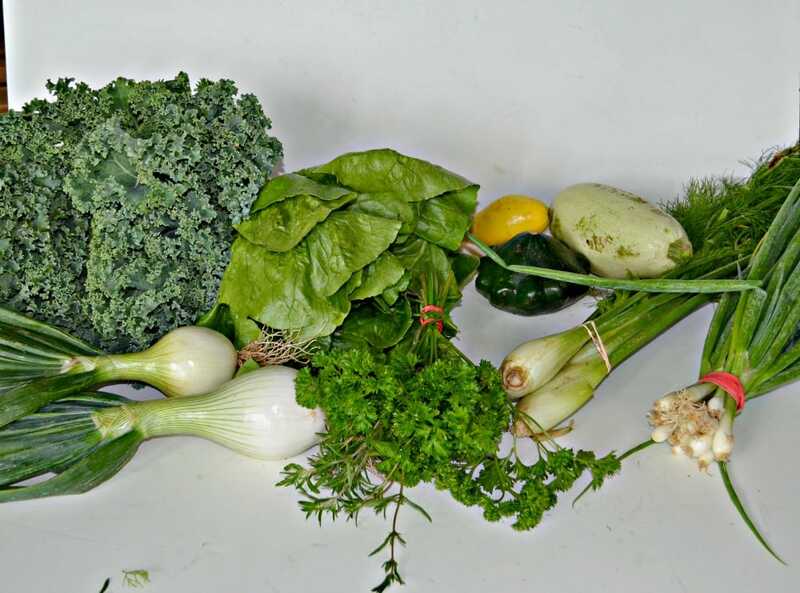 This week we received a large head of kale, a big head of lettuce, two giant onions, three different types of squash, scallions, fennel, and a bundle of herbs. I was happy to see the big head of lettuce because we were in serious need of a large salad. Since we were going to Pittsburgh for the weekend I wanted to make something that use a lot of our vegetables. 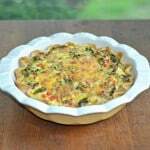 I thought about making a quiche but it was too hot to turn on the oven. 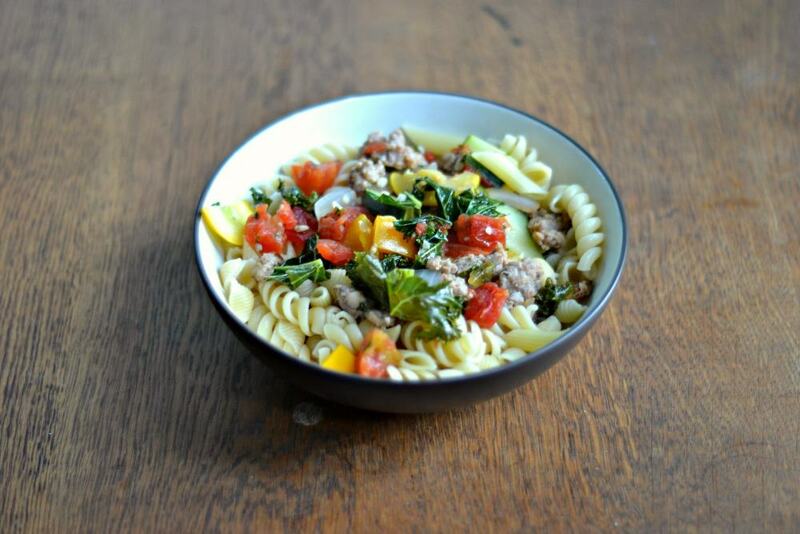 Then I decided to make a stove top pasta with the summer vegetables as well as some hot sausage I had in the refrigerator. I used some of the kale, one of the onions, two of the squash, a few scallions, and some of the herbs. It was a great way to use the vegetables and it tasted great too! The sauce I made consisted of diced tomatoes, chicken broth, white wine, and the fresh herbs. It was a simple sauce but perfect with the summer vegetables. 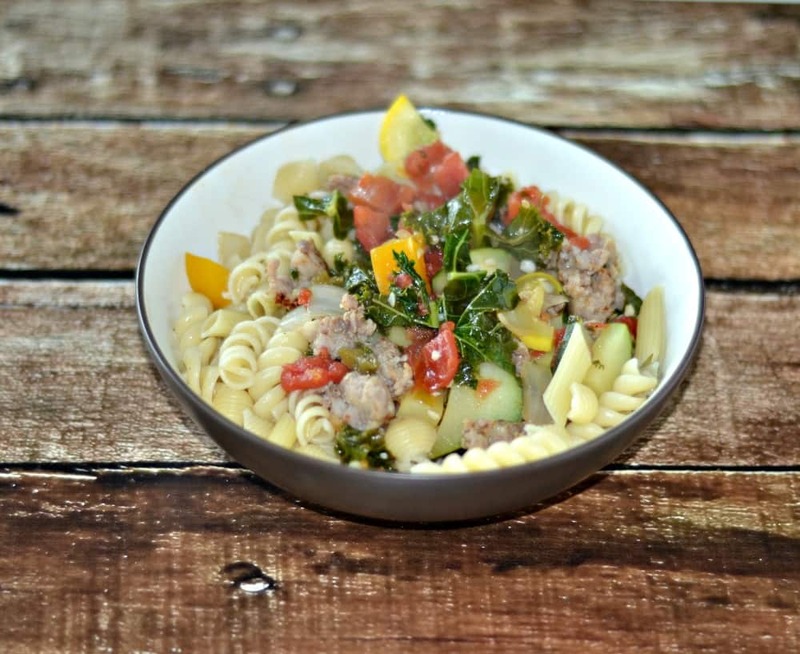 The sausage added a little heat to the pasta dish and the vegetables added a lot of flavor. If you wanted to make this a vegetarian dish you could skip the sausage, use vegetable broth, and add a pinch of cayenne pepper for heat. 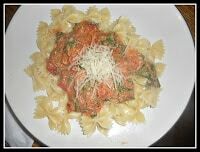 In addition to tasting good, this was a bright and beautiful pasta dish with plenty of bright colors. 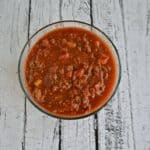 The best part is that you can use just about any vegetable you have on hand along with the easy to make sauce. Cook the pasta according to the package directions. Drain and keep warm. Remove the sausage from the casing and place in a large saute pan. Cook over medium heat, breaking the sausage up and sauteing until browned. Add the garlic, zucchini, squash, pepper, and onion to the pan and saute for 5 minutes. Add in the kale and saute an additional minute. Add the chicken broth, drained tomatoes, and dry white wine to the pan and cook for 3-4 minutes. Remove from heat and stir in the butter and fresh herbs. 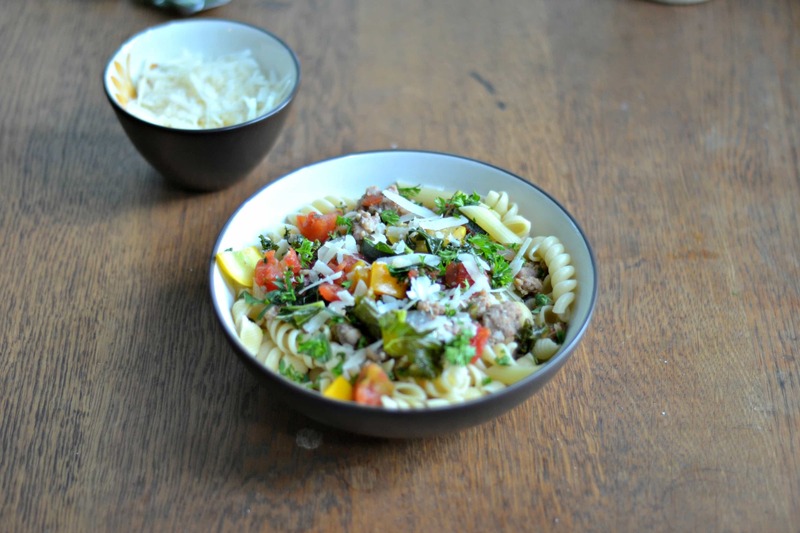 Toss with pasta and top with freshly grated Parmesan cheese.